Hoonuit / Atomic Learning Description of this database. Planning your course schedule for Spring term? 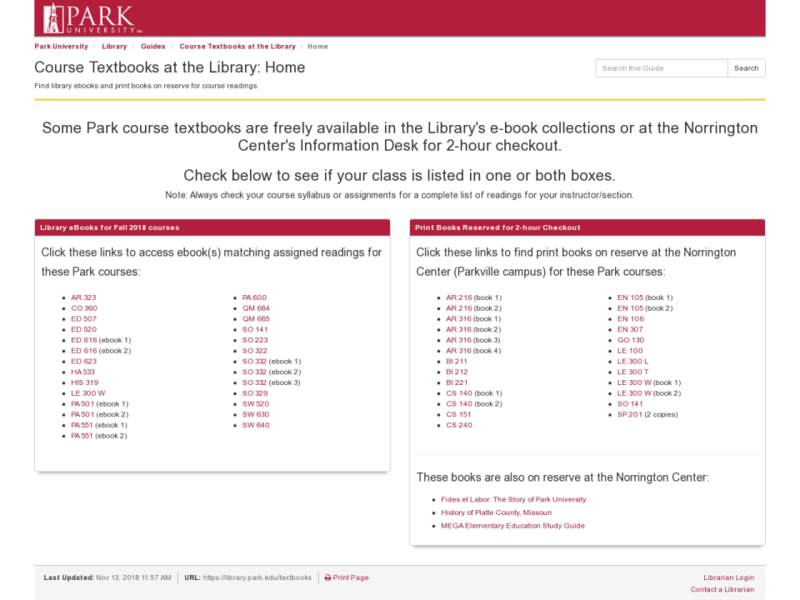 Visit this guide to find courses that use library ebooks and books among their readings and save money on textbook costs. 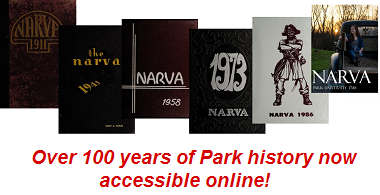 For over a century, Park students compiled and edited the Narva yearbooks, which are now digitized and accessible through the Internet Archive for page-by-page browsing or keyword searching. A top database for business research. Includes thousands of full-text journals, dissertations, working papers, country-and industry-focused reports. 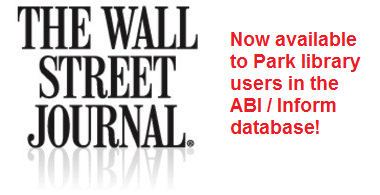 This is the sole library source for current, online access to the Wall Street Journal. *Building hours are Central Time zone and subject to change. See calendar details here.